Who would not love a job that gives them creative freedom and gives them the satisfaction of making people look and feel great? Well, there is one job that fits the bill, and that is working as a beauty therapist. Beauticians and Beauty therapy treatments are in high demand. After all, people are very conscious about their looks and want to look well-groomed at all times. Hence, it is no wonder to find a growing demand for beauty therapists as well as formal training and courses in beauty therapy. Why should you consider studying beauty therapy? There are some good reasons as to why one must consider studying beauty therapy. With formal training in beauty therapy, they can easily get employment in a salon or even set up their own business. A beautician learns to take care of not just his clients but learns to take care of himself or herself. What do you learn from a Beauty therapy course? Beauty therapy teaches you a lot more than just applying makeup or how to take care of the skin. One needs to take care of the hair, skin and nails of their clients and treat them to repair any damage in order to enhance appearances. 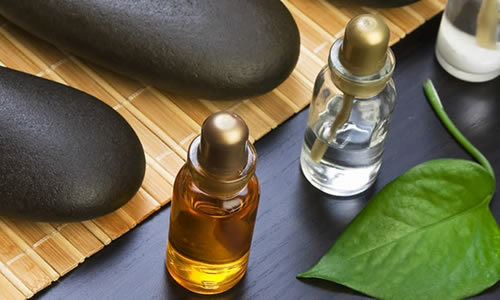 Beauty therapy treatments comprise of body relaxation and massage exercises sometimes. You get to learn about the latest in the field of Beauty Therapy and treatments. How does a beauty therapy course expand your career horizons? You can learn how to perform a wide variety of beauty treatments and get aware of the latest know-how. With a degree and diploma in your hand, you can work as a beauty therapist, makeup artist, massage therapist, and even a salon manager. You get the chance to be as creative as you want with your expertise and skills, as you get hired for photo shoots, fashion shows, film sets, TV shows, etc. What makes it an amazing career journey? Getting trained from a reputed place will offer you the confidence to work in the real market and retail environment. Learn how to apply makeup, offer the best body and facial treatments and enhance your job prospects. They can do the house calls or work at live performances. You could work for yourself or work at spas, resorts, hotels and clinics in some of the most exotic places in the world. How to make the right start? Explore one of those beauty & hairdressing courses that are simply ideal for you to make the right start. This is the way to take a confident step into the beauty & hairdressing industry and chalk out an amazing career. It is essential to get formal training if one is serious about working in this field as a beauty therapist. With a Diploma of Beauty Therapy, the whole world opens its doors for you. You could just go about anywhere with a beauty course accreditation.